Ages 2 to 5 years. A beloved Easter character is hard at work to provide boys and girls with the Easter fun they love. 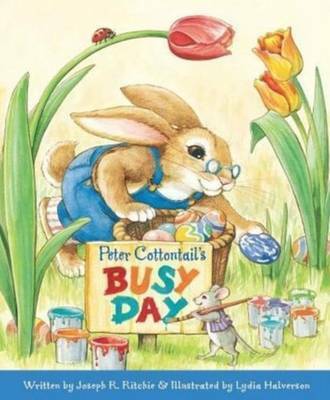 On the day before Easter, Peter Cottontail awakens late to a day filled with chores. He and his friends must colour the eggs, collect the nuts, find the jellybeans, and assemble the baskets. Peter's left exhausted, but the children are delighted when they find their treats on Easter morning.